With the help of the Jerry Goldstein Foundation, Jerry's Artarama, and its sponsors, they are giving away a minimum of $51,000* to artists with great personal stories, incredible talent and/or unique creativity and achievements to share! Jerry always liked a good personal story and we hope that you share one with them. No matter if you have achieved immense success, are still struggling or are a student wanting to go to art school your story is important to them! 1. What is your achievement? 102 artists will receive $500 to do what they want with it! 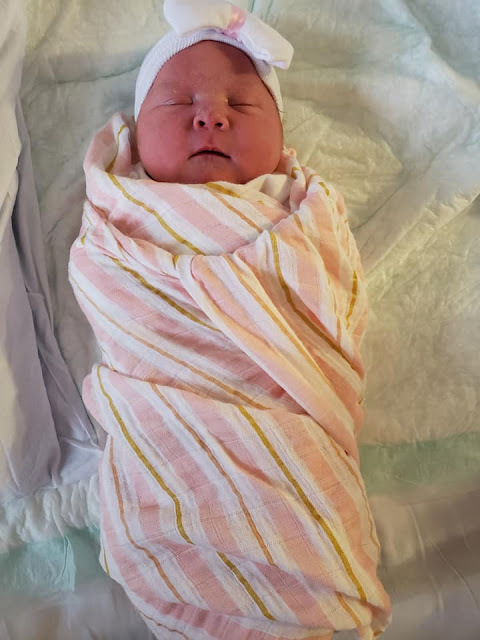 At 9:08 AM, my first grandchild - Mila Audrey Tarasova y Campello was born to my daughter Elise! Congrats to all these talented and lucky folks - they are winners of the 2019 Maryland State Arts Council (MSAC) Grants! That "Florence" down there is me - this is my first award since I was an art student at the University of Washington School of Art, when I received Ford Foundation art grants 1977-1981. A discussion panel featuring Philip Kennicott, Chief Art and Architecture Critic, the Washington Post; Janis Goodman, Panelist, WETA Around Town, Associate Professor of Fine Arts, Corcoran School of the Arts and Design, George Washington University; Lenny Campello, Author, Daily Campello Art News; and Jason Kuznicki, Research Fellow, Cato Institute and Editor, Cato Books; moderated by Caleb O. Brown, Cato Daily Podcast host, Director of Multimedia, Cato Institute. 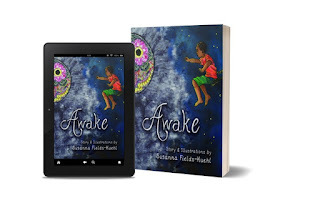 It’s about a child suffering from insomnia and anxiety. It’s a topic not often addressed in children’s books, but something that the author - Susanna Fields-Kuehl, a licensed therapist and artist in Maryland sees daily in her practice. I Hope you can all support the project and spread the word! Kickstarter end April 24! My good friend Barbara is opening at the gorgeous Athenaeum in Old Town Alexandria - easily one of the most beautiful art spaces in the DMV! 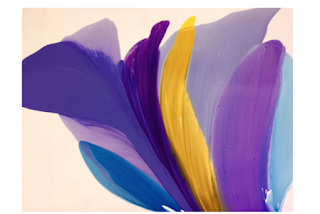 Barbara Januszkiewicz luminous and elegant paintings evolved out of her early work in watercolor, a progression evident in the almost liquid flow of colors across her large compositions. In these acrylic works, tones melt together and "veils of pigment appear to fold over one another, creating illusory creases and hollows. The overall affect is one of slow, powerful visual rhythms. Januszkiewicz semi-translucent colors floats across her surfaces, soaking into the unprimed canvas and paper to create tactile fusions of paint and support that envelope the viewer in diaphanous veils of paint. from that of her color fields with wonderful abstract shapes that are rendered loosely with a great feeling of fluidity and motion. "My brushwork is applied in waves of curving, color shapes, submerged in translucent washes. My goal is to achieve the highest degree of richness, with a light source that comes not from applied paint, but rather from the luminosity of the brilliant white paper or canvas," said Januszkiewicz. Here we see Januszkiewicz produce zen-like brush strokes across large formats with watercolor-like acrylics effortlessly. Saint Joseph's University galleries says NO! Thank you very much for sending us your resume and images for consideration in our 2019-2020 exhibition schedule. The committee was pleased to learn about you and view your work. Unfortunately, we are unable to exhibit your work at this time. There were close to three hundred applications and only five available slots this year. We thought that many of the applicants this year would show well in our gallery, and as you can imagine, it was very difficult to limit our choices. We wish you the best of luck with your artistic endeavors and thank you again for your interest in our program. Beware of this art scammer! Do you ship to Switzerland and accept US issued credit card as payment?, you will contact my shipper who handles all of my shipment, they pick up the items at your location and deliver directly to my store doorstep without hassle. Let me know if i can e-mail you what am interested in ordering. This exhibit of dramatic black and white architectural photographs explores the range of tonal possibilities that might or might not have existed, but were visible in the mind of the photographer. None of the photographs are of total or complete structures. Each is a piece, a portion, an extraction that may convey more a sense of the whole than the entire building. The beauty of the forms, the lines, the shapes, the volumes and the play of light and shadow created by the infinite tonalities is what this exhibit celebrates. 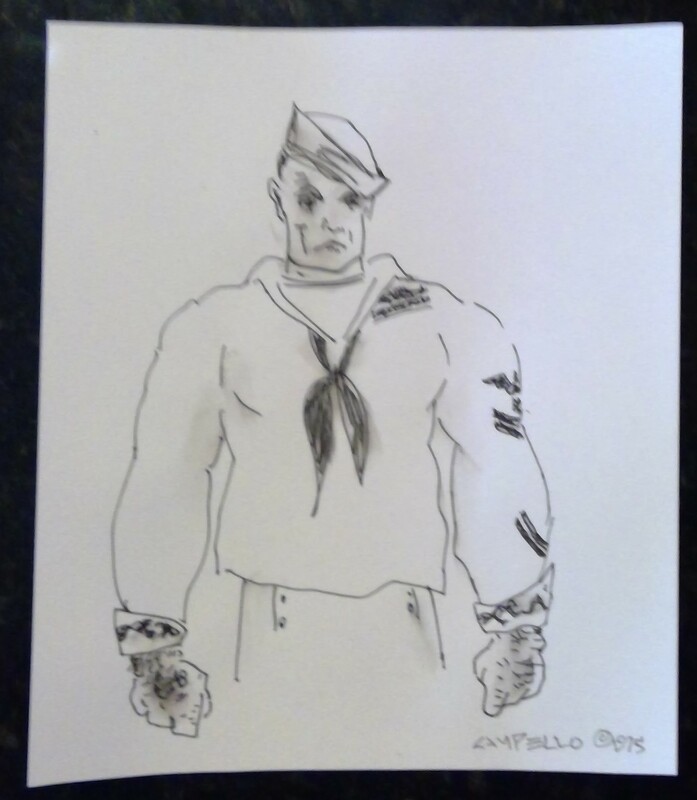 Just found a bunch of pen and ink, and also pencil drawings and sketches that I did back in the 1970s when I was a young Petty Officer in the Navy. The above drawing will be one of the pieces being silent-auctioned off at the WPA Collectors' Night gala. This drawing, done in 2009, was one of about 15-20 drawings that I did between 2008 and 2009 for an exhibition which Philadelphia's Projects Gallery staged once the Senator from Illinois became President. Details on bidding, gala, etc. HERE. Tim Tate to be Included in GLASSTRESS During Venice Biennale! Huge news for DMV area uberartist Tim Tate! Such good news to report! I will be one of the few Americans representing the USA in the upcoming Glasstress show during the Venice Biennale. The show has amazing artists, such as Ai Wei Wei, Tony Oursler, Karen Lamonte and Dustin Yellin and is being curated by Vic Muniz and Koen Vanmechelen. This represents a huge step forward in my career. You can read all about it below. I want to be your ambassador to the United States! Its so expensive to get there though! If you want to help me out, I put together an Indiegogo campaign to raise monies. Even just sharing this link would do me a huge favor! I am honestly just happy to report that I will be one of those artists! Thank you all for supporting me over the years! I appreciate every one of you! Here is my iniegogo link... click here. Returning for the 58th Biennale di Venezia, the sixth edition of GLASSTRESS brings together a new line-up of leading contemporary artists from Europe, the United States, Latin America, India, and China in an ambitious exhibition exploring the endless creative possibilities of glass. GLASSTRESS is a project by Adriano Berengo dedicated to supporting his mission of marrying contemporary art and glass. Since its debut in 2009 as a collateral event of the Venice Biennale, GLASSTRESS has revived the traditional craft of Murano glassblowing by forging new alliances with internationally renowned artists and designers and has since become an unparalleled platform showcasing ground-breaking new works in glass. To celebrate 10 years of GLASSTRESS and 30 years of , the exhibition goes back to its historical roots on the island of Murano. An old abandoned glass furnace is now an evocative exhibition space for striking new works and installations by returning artists Ai Weiwei, Tony Cragg and Thomas Schütte as well as first time participants Prune Nourry, José Parlá, Tim Tate and Xavier Veilhan, amongst others. With little or no prior experience working with glass, these artists have embraced the challenge of creating extraordinary works in this very delicate medium in collaboration with Muranese artisans. The output of this unusual encounter defies the stereotypes associated with this ancient craft, ultimately pushing the boundaries of both contemporary art and glass. This year’s edition of GLASSTRESS will also provide visitors with the opportunity to watch Murano glass masters at work at the adjacent glassblowing studio and learn more about Fondazione Berengo’s preservation efforts of this centuries-old artistry of Venetian glass-making. Saint Clair Cemin (Brazil), Pedro Friedeberg (Mexico), Carlos Garaicoa (Cuba), Artur Lescher (Brazil), Prune Nourry (France), José Parlá (USA), Pablo Reinoso (Argentina), Valeska Soares (Brazil), Tim Tate (USA), Janaina Tschäpe (Germany), Xavier Veilhan (France), Robert Wilson (USA). Ai Weiwei (China), Monica Bonvicini (Italy), Tony Cragg (UK), Shirazeh Houshiary (Iran), Alicja Kwade (Poland), Karen LaMonte (USA), Paul McCarthy (USA), Vik Muniz (Brazil), Jaume Plensa (Spain), Laure Prouvost (France), Thomas Schütte (Germany), Sudarshan Shetty (India), Koen Vanmechelen (Belgium), Erwin Wurm (Austria). Jean Arp (Germany), Ayman Baalbaki (Lebanon), Miroslaw Balka (Poland), Fiona Banner (UK), Mat Collishaw (UK), César (France), Jake and Dinos Chapman (UK), Tracey Emin (UK), Jan Fabre (Belgium), Kendell Geers (South Africa), Francesco Gennari (Italy), Abdulnasser Gharem (Saudi Arabia), Michael Joo (USA), Ilya & Emilia Kabakov (Russia/USA), Michael Kienzer (Austria), Hye Rim Lee (South Korea), Oksana Mas (Ukraine), Hans Op de Beek (Belgium), Tony Ousler (USA), Javier Pérez (Spain), Antonio Riello (Italy), Bernardì Roig (Spain), Joyce Jane Scott (USA), Wael Shawky (Egypt), Lino Tagliapietra (Italy), Fred Wilson (USA), Dustin Yellin (USA). 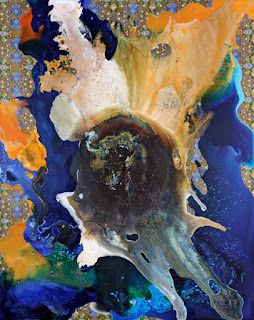 HEMPHILL is pleased to announce the exhibition, HEDIEH JAVANSHIR ILCHI: I surrender to you, ashen lands and blue skies, opening on Saturday, May 11, 2019 with a reception from 6-8pm. The exhibition will remain on view through June 29, 2019. Moving to an aerial view, observing from a distance, there may be no such thing as a cultural war. There may only be a process, a moment in an ever-evolving world of cultural forces. Although this viewpoint does not champion good or evil, it does acknowledge movement and outcome. The paintings of Hedieh Javanshir Ilchi arise from cultures often portrayed at war. Each culture measures itself by a different clock. Each respective clock sometimes runs faster than the other, then slower, sometimes backward and then again forward. The clocks rarely synchronize, until the conflicts are spent and the two clocks merge. Ilchi’s work takes us to an aerial viewpoint where we see traditional Persian imagery merging with modernist American painting techniques. The content is not in conflict, but there is sense of broken parts coming together and things from a past appearing in a present. Contrary to our times, where a speeding flow of expedient information engulfs everything, Ilchi asks us to step back, slow down, take the aerial view. From this vantage point we see intricately executed tazhib patterns, sometimes floating over and at other times captured within scenes of organic chaos. Chaos created by the layering of translucencies, controlled pours and the topographical accumulations of paint. It is as though we are witnessing the reactions of chemical components. It takes time to comprehend the dazzling luminosities of her paintings, to see the merging of two cultures. Yet Ilchi’s work is not of an ideal state, there is a sense of trouble in her pictures, an apprehension of beauty, and a pining wishful-ness for the outcomes we are moving towards. Hedieh Javanshir Ilchi was born in 1981 in Tehran, Iran and currently lives and works in the Washington DC area. Ilchi received a BFA with honors from the Corcoran College of Art + Design in 2006 and an MFA in Studio Art from the American University in 2011. She has been awarded residencies at the Ucross Foundation, Vermont Studio Center, The Jentel Foundation, and the Kimmel Harding Nelson Center for the Arts. She has exhibited in New York, Switzerland, Washington DC and Winston- Salem, NC and her work is included in several private and public collections. HEDIEH JAVANSHIR ILCHI: I surrender to you, ashen lands and blue skies is the artist’s second exhibition at Hemphill Fine Arts. The South Bend Museum of Art (SBMA) is seeking large-scale 2D and 3D artwork for long-term display in Sightlines, a collaborative project between SBMA and Century Center. The two year exhibition will highlight the work of six new artists. Indoor and outdoor sites for the work are available and will be considered for accepted work. Artist submission review and selection will be done by representatives from SBMA and Century Center. There is a $10 entry fee to apply. $1000 stipend for each selected artist. A modest printed piece will also be produced. For full details and to apply securely online, please visit www.southbendart.submittable.com. For more information on the South Bend Museum of Art, please visit this site. Trawick Prize Deadline: 8 April! The Bethesda Arts & Entertainment District is inviting regional artists to submit work to the annual Trawick Prize! This juried art competition awards $14,000 in prizes to four selected winners. The deadline for submissions is Monday April 8, 2019. 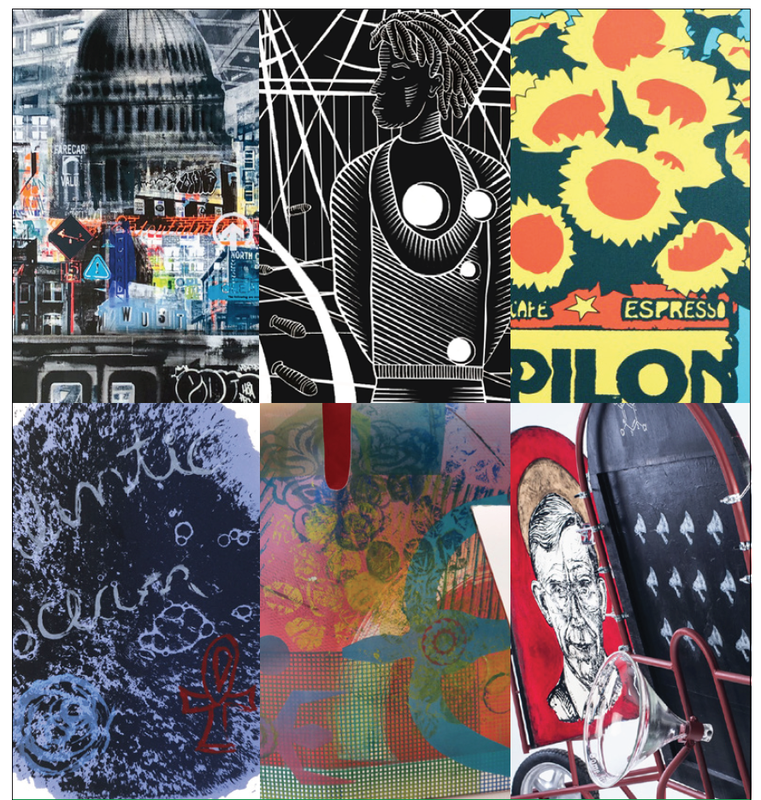 Up to eight selected finalists will be chosen to display their work at Bethesda’s Gallery B in September 2019. The competition will be juried by Jonathan Monaghan, Assistant Professor of Digital Art & Studio Art Advisor, Catholic University, and the 2015 Trawick Prize Best In Show Winner; Foon Sham, Professor of Sculpture, University of Maryland, and Sue Wrbican, Associate Professor of Photography & Director of Photography Program, George Mason University. 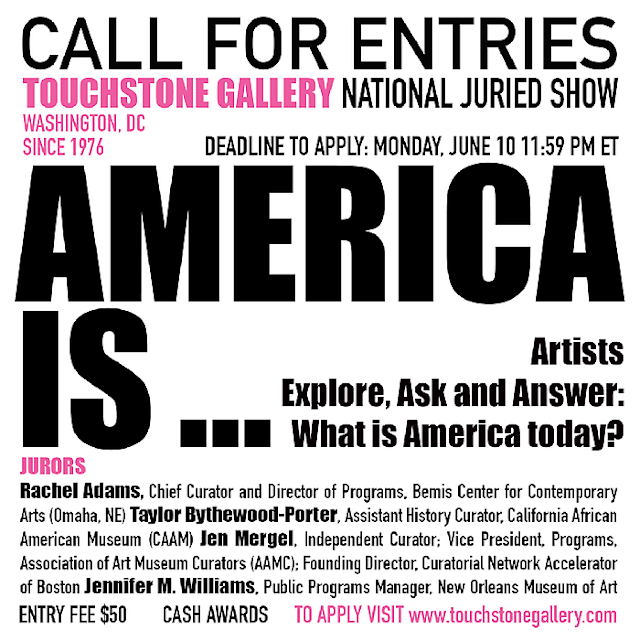 Residents of Maryland, Virginia or Washington, D.C.
All original 2-D and 3-D fine art including painting, drawing, photography, sculpture, fiber art, digital, mixed media and video will be accepted. Artwork must have been completed within the last two years and must be available for the duration of the exhibition. Selected artists must deliver their artwork to the exhibit site in Bethesda, MD. The Best in Show will be awarded $10,000; second place will be honored with $2,000 and third place will be awarded $1,000. A “young” artist whose birth date is after April 8, 1989 may also be awarded $1,000. The Bethesda Urban Partnership has announced the 16th annual Bethesda Fine Arts Festival, a two-day event highlighting more than 120 contemporary artists selling their original fine art and craft. The festival will take place Saturday, May 11 from 10am – 6pm and Sunday, May 12, 2018 from 10am – 5pm. The festival will once again welcome artists from across the country to showcase and sell their original painting, drawing, photography, furniture, jewelry, woodwork, ceramics and more in downtown Bethesda. The event will be in Bethesda’s Woodmont Triangle along Norfolk and Auburn Avenues and will be held rain or shine. The festival will also feature live entertainment, children’s activities and local restaurants. Admission to the Bethesda Fine Arts Festival is free. The festival is located six blocks from the Bethesda Metro station and free parking is available adjacent to the event in the parking garage located on Auburn Avenue. LeafFilter Gutter Protection, Sunrise Senior Living, Bethesda Blues & Jazz Supper Club and Bethesda Magazine are serving as event sponsors. For more information, please visit www.bethesda.org or call 301/215-6660. 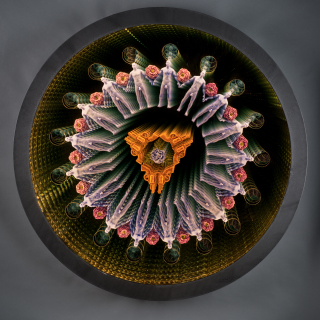 The Washington Sculptors Group cordially invites you to attend the Annual Members Image Show! Join WSG members as they offer insight into some of the best work being done by sculptors in the DC area. WSG’s Annual Members Image Show aims to support the talent and highly diverse work of Washington area sculptors. The Image Show gives member artists the opportunity to present images and videos of their work, and artists have the opportunity to discuss the artwork while it is being shown. New members are strongly encouraged to participate, and all members receive feedback from the audience. WSG will also invite DC area gallerists, curators, collectors, reviewers, and other art representatives to attend this important member event. Refreshments provided by WSG will be served during intermission; WSG members are also welcome to bring food to share. Harvard’s Center for Hellenic Studies is graciously hosting the WSG Annual Members Image Show again this year. Join us for an informative evening at the CHS campus, located in the Embassy Row neighborhood of NW Washington, DC. We are excited to announce the 84 artists participating in Collectors' Night: A Silent Auction to Benefit Artists on Saturday, May 4. Nearly all the artists were selected from an open call by this year's incredible art committee, with the exception of a half dozen -- among them the inimitable Richard Tuttle -- who were invited by the staff. Find more information about the artwork selection process and artists here. Don't forget to purchase discounted early-bird tickets while they are available through April 3! If you have any questions about tickets or sponsorship, please email Ashley McDonald at amcdonald@wpadc.org or visit wpacollectorsnight.org. DC Arts Studios (DCAS) invites you to their annual Spring Open Studios on Sunday, April 28, 10am - 5pm! Take a self-guided tour through our participating artists' studios and have a "behind the scenes" peek into their creative process -- a great way to introduce kids to the arts and learn about different techniques and mediums! Purchase original artwork and other handmade gifts directly from the artists themselves! Featured artwork and gifts will include photography, paintings, mixed media, fiber art, sculpture, stained glass, weaving, art made from re-purposed bicycle and computer parts, and much more. Swing by the Willow Street Gallery Group Show and Sale, "ELEMENTS" on our first floor. Have your photo taken with an Afghan camera box. There will be food and refreshments throughout the studios. The event is free, accessible, family friendly, and open to the public. *This arts event is presented as part of Takoma Park's Art Hop, a neighborhood-wide weekend arts festival. Learn more at Art Hop Takoma. DC Arts Studios is located at 6925 Willow St NW, Washington, DC 20012, next to Downtown Takoma Park, MD. Driving: There is street parking. Metro: Take the Red Line to the Takoma DC Metro Station. Walk a few blocks on Carroll Ave towards Downtown Takoma Park, MD. Turn right onto Willow Street. We are halfway down the block on the left-hand side of the street. Questions? Contact Valerie Fenton, Administrative Director, at office@dcartsstudios.org. Welcome to open life drawing sessions every Tuesday, 6-9pm in Pyramid Atlantic's gallery space in the Gateway Arts District, Hyattsville. Bring along your favorite art materials and draw with us! Chairs, tables and drawing boards provided. All are welcome, under 18 legal guardian permission required. Drop-ins welcome, no experience necessary! Applications are now open for this professional development program, presented by New York Foundation for the Arts (NYFA), in partnership with Alper Initiative for Washington Art at the American University Museum, and provided to selected participants free of charge through the support of the Stephen & Palmina Pace Foundation. Open to visual artists (painting, photography, sculpture and installation, ceramics, folk art and traditional, craft, printmaking, drawing and book arts, performance art, film, video and new media) the program has been customized to fit the needs artists in the Washington, DC metropolitan area. The Artist as Entrepreneur Program offers the fundamental principles of sustainability—and ultimately profitability—in the arts. This includes topics such as strategic planning, finance, and marketing. Additional material is drawn from NYFA’s popular textbook, The Profitable Artist (Allworth Press, 2018), now in its second edition. Participants have access to flexible and dynamic entrepreneurial tools such as the “Artists Action Plan” and Business Model Canvas (BMC) that provide a blueprint for your practice or specific projects. The structure is a blend of formal lectures and breakout groups, designed to build community among the participants and encourage ongoing dialogue, collaborations and support. Artists of all career stages, including students, are encouraged to apply through this Submittable link. Participants will be selected through a panel review process. Please view the required application materials. Application deadline is April 17, 2019. 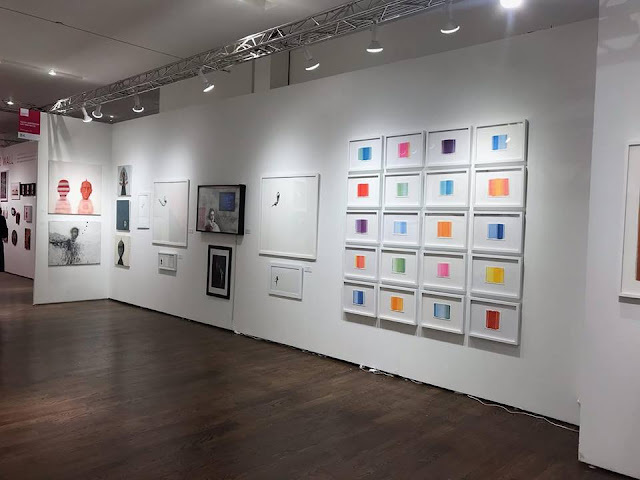 Our booth at the Spring Affordable Art Fair in New York - booth B4 with work by Matthew Langley, Alexei Tereynin and me! The Maryland State Arts Council is seeking panelists to review Public Art Project grant applications for the 2019 fiscal year. The Maryland State Arts Council (MSAC) relies on a diverse array of arts experts from the field to do the important work of evaluating grant applications submitted by Maryland arts organizations and arts programs. Panelists review grant applications online, and meet in spring for the Grants Review Panel Meeting. Serving as a panelist is a great opportunity to learn about Maryland arts organizations and the granting processes of the Maryland State Arts Council. Panelist application forms are due, Friday, April 19, 2019. Please apply here. The Maryland State Arts Council has committed to equity, diversity, and inclusion in grantmaking as all funding mechanisms continue to be examined and updated. The design of the Public Art Across Maryland Grant application is meant to inspire authentic reflection and internal analysis for each applicant, with the knowledge that the Maryland State Arts Council is to be seen and utilized as a collaborative partner in the process. After applications have been reviewed, panelists are appointed by the Maryland State Arts Council for a one-year term, which may be renewed, and receive a modest honorarium and travel reimbursement for serving. The Maryland State Arts Council uses Google products for all panelist activities. Applicants must have a Gmail account to apply. You may establish a Gmail account here. 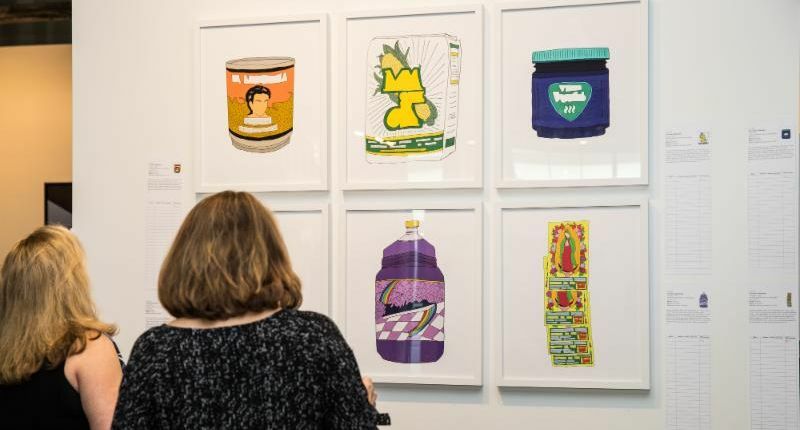 The Howard County Arts Council is pleased to announce two new exhibits, opening on May 3, 2019: Resident Visual Artists Exhibit 2019 and No Boundaries. In its 35th year at the Arts Council, Resident Visual Artists Exhibit 2019 features recent work created by artists with studios at the Center for the Arts: James Adkins, Joan Bevelaqua, Han Jeon, Myungsook Ryu Kim, Art Landerman, Diana Marta, Brendan Nass, Joyce Ritter, Jereme Scott, Alice St. Germain-Gray, Andrei Trach, Jamie Travers, Mary Jo Tydlacka, and David Zuccarini. The artists work in a variety of media including oil and watercolor painting, drawing, fiber art, and glass bead-making. In partnership with Howard County Recreation and Parks’ Department of Therapeutic Recreation and Inclusion Services, No Boundaries showcases work by youth and adult artists with developmental disabilities, created in the Exploring Art and Focus on Art programs offered by the Department of Therapeutic Recreation and Inclusion Services. In these programs, youth and adults with developmental disabilities have the opportunity to explore a variety of media, styles, and methods of creating art. A free public reception will be held on Friday, May 10 from 6–8pm. The Arts Council’s resident artists will also open their studios to visitors from 7–8pm that evening. Both exhibits run through June 14, 2019. Gallery hours are Monday through Friday 10 a.m. - 8 p.m., Saturday 10 a.m. - 4 p.m., and Sunday 12 - 4 p.m. The Galleries are closed for Memorial Day on Monday, May 27, 2019. For more information about Howard County Arts Council programs and exhibits, call 410-313-ARTS (2787) or visit hocoarts.org.